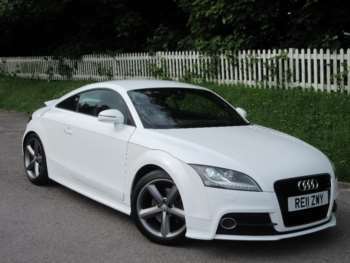 The Audi TT's unorthodox design provoked mixed reactions on its arrival in 1999. 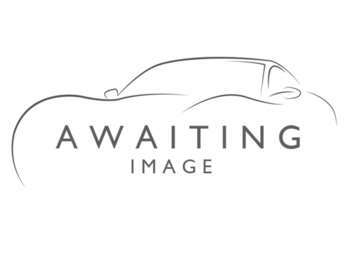 It was introduced with great fanfare and two coupe models available, at 180bhp and 225bhp. Later in the year roadster versions of each were added. 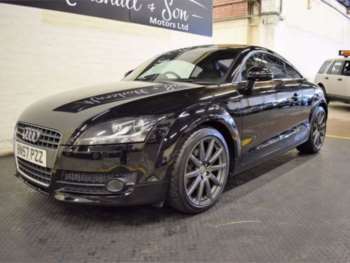 Around this time the used Audi TT came under a shadow following reports of instability at speed causing serious accidents, but Audi was quick and efficient in its response, recalling all units and refitting shocks, anti-roll bars, spoilers and ESPs. However suspicion was that drivers were at fault rather than the cars, with some unable to handle the Audi TT's energy and liveliness. Extra models have since been added to both ends of the range, along with power boosts all over. 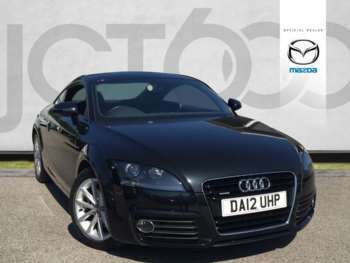 2006's update had less extreme styling but understated has proved popular, with the generation 2 model retaining the sales success of the original and improving upon its technical specifications. Its looks are controversial, with some finding the distinctive styling bulbous, others appreciating its nod to Bauhaus design. 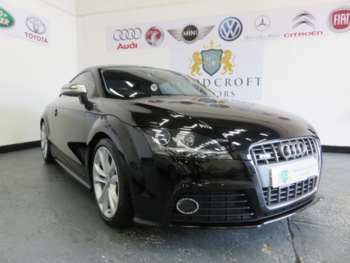 The Audi TT interior is all effortless retro-cool, filled with attention to detail and superior engineering. Interior space is stingy at best, with poor visibility making it hard to really take advantage of the sprightly engine and you may as well forget about putting passengers in the rear, although luggage space isn't too bad. The second generation improved slightly on interior spacing but it's still not the vehicle for piling groups into. 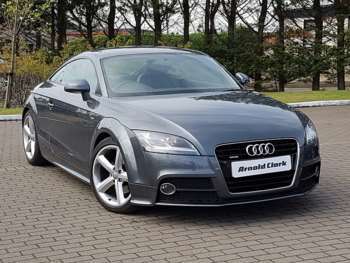 Optional extras were extensive so you could end up with some interesting additions when buying a used Audi TT, such as the slightly odd baseball glove themed interior styling, or the impressive electronic glass deflector available on roadsters to minimise wind buffeting. 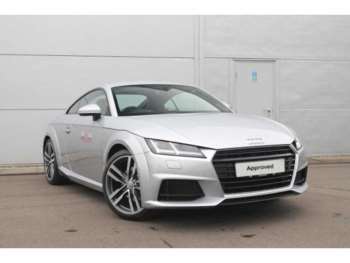 Residual values aren't bad, with 180bhp early TT models starting at £5,000, predictably, the first 225bhp slightly higher at £5,600 and roadsters only a little more. Insurance is group 18. The 3.2 litre V6s are considerably more, starting at £10,000. 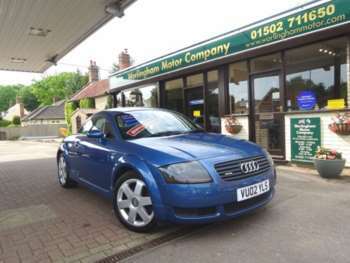 2006 and onward models start at about £16,000, with prices varying depending on specifications. While engines and mechanicals should be solid, if the recall modifications weren't made you will probably get some crabbing activity from the back end; unusual in Audis. 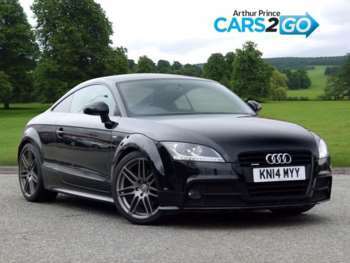 Check the tyres carefully as the Audi TT is susceptible to errors in suspension and tracking leading to uneven wear. Certain colours hold their value far better than others as the original colour range wasn't all popular. Be vigilant with paperwork as a number of models were front wheel drive only Euro imports, so make sure you get the quattro system you expect. Not as painful as you might expect. A set of spark plugs can be had for £65. Air filters are around £60, oil filters £35 and fuel filters £25. TTs that missed recall modifications might as well be made for Top Gear filming amusement, which is great fun on the test track but can cause problems in the real world. Expert drivers will have plenty of giggles with this plaything but most will prefer the milder and more comfortable ride available to modified versions. 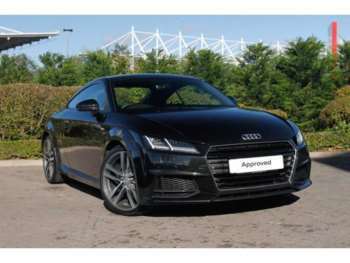 With its lightweight aluminium body, the new Audi TT is quick. At 6.1 seconds to 60mph for the popular 225bhp model, it's nippier than a Porsche Boxster and later models are even more aggressive. 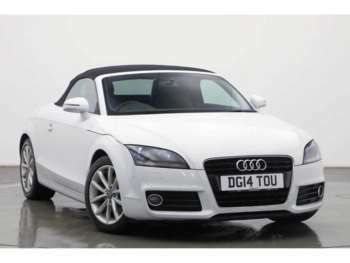 Got a specific Audi TT model in mind?